Each Color Laser Print is hand signed on the back of the backer board by Ken. 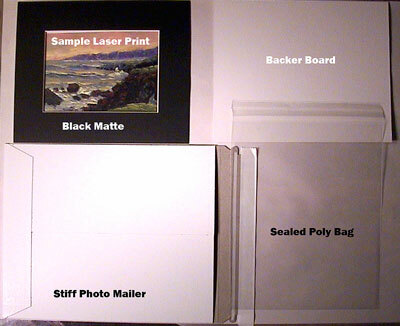 Each print comes with an 8x10" Black Mat with White Core, inside opening is 4.5"x6.5", an 8x10" backer board. Backer board is sealed to mat. Comes inside a poly bag. All prints are mailed in a stiff photo mailer. All print images are the property of the artist and no prints can be made without the written consent of the artist. 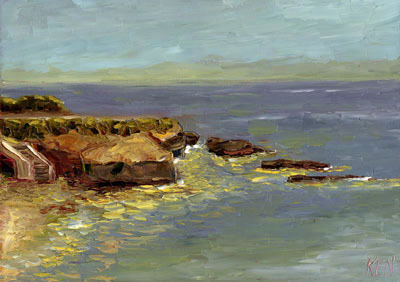 Original Ken Oil Paintings can be purchased at ebay ID: kenp or KenPaintings.com. $3.99 First Class Mail w/ Delivery Confirmation. Will combine shipping on multiple prints. Add $1.00 to shipping cost for each print.